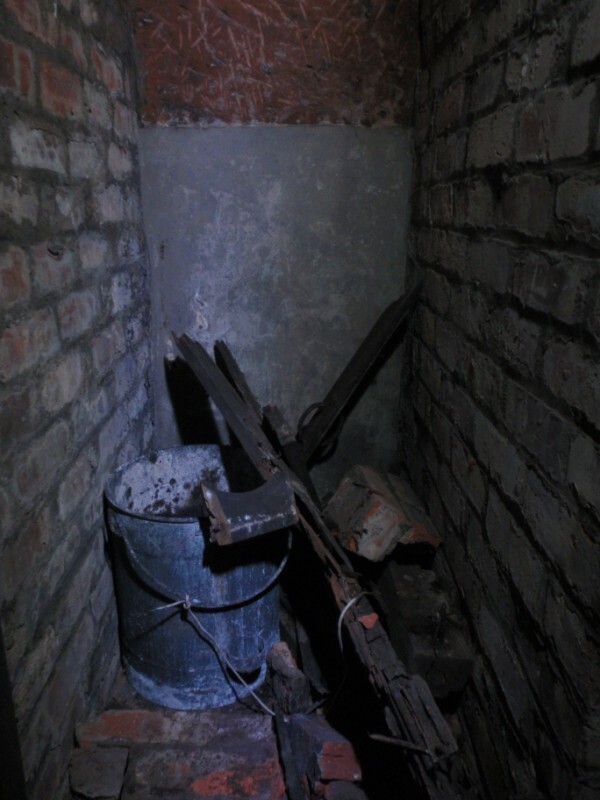 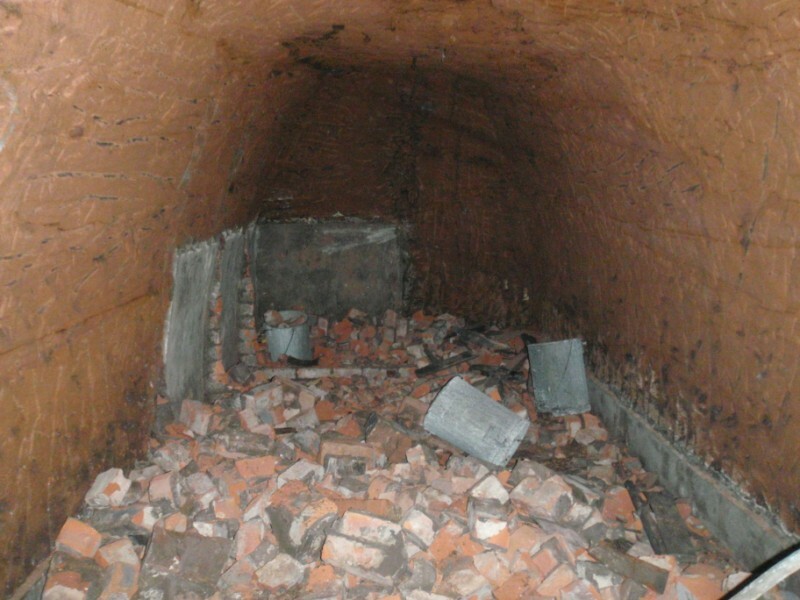 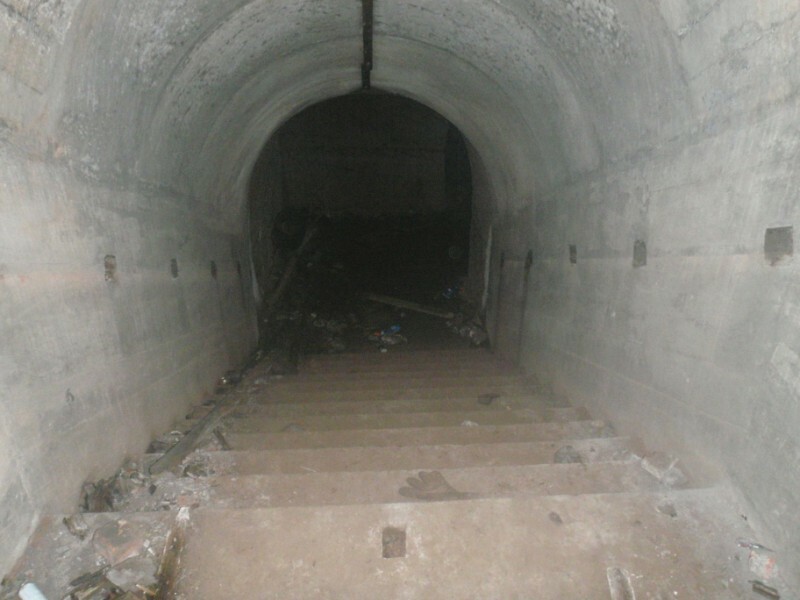 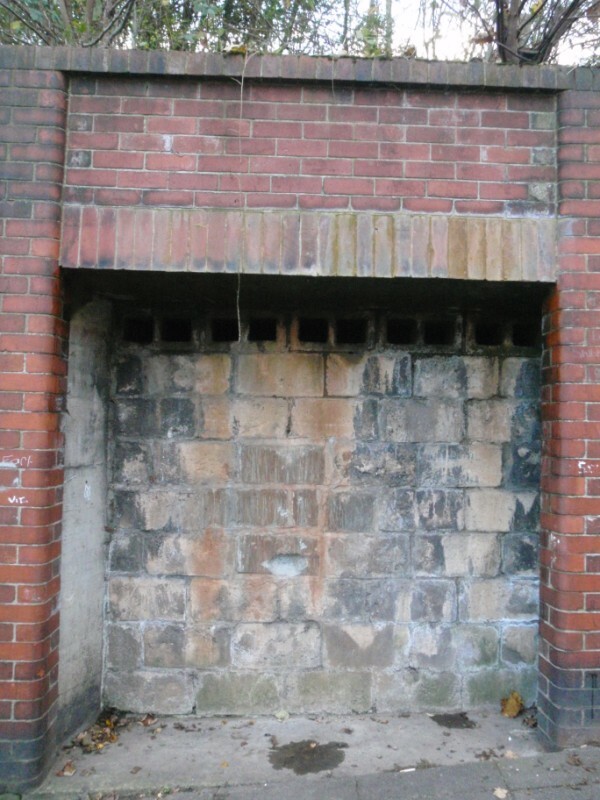 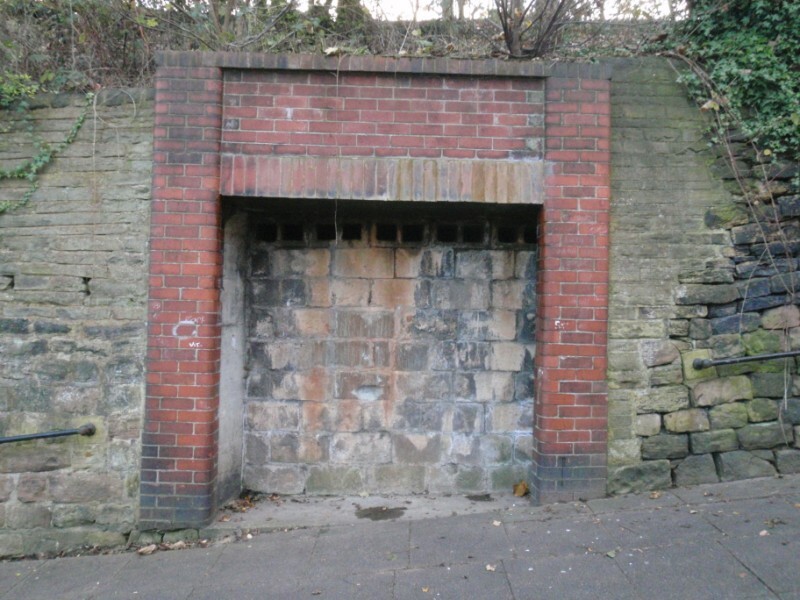 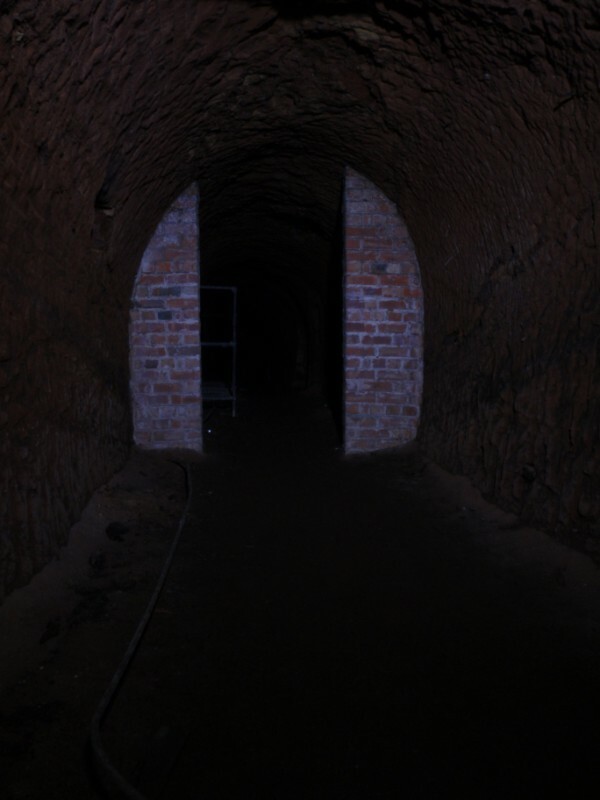 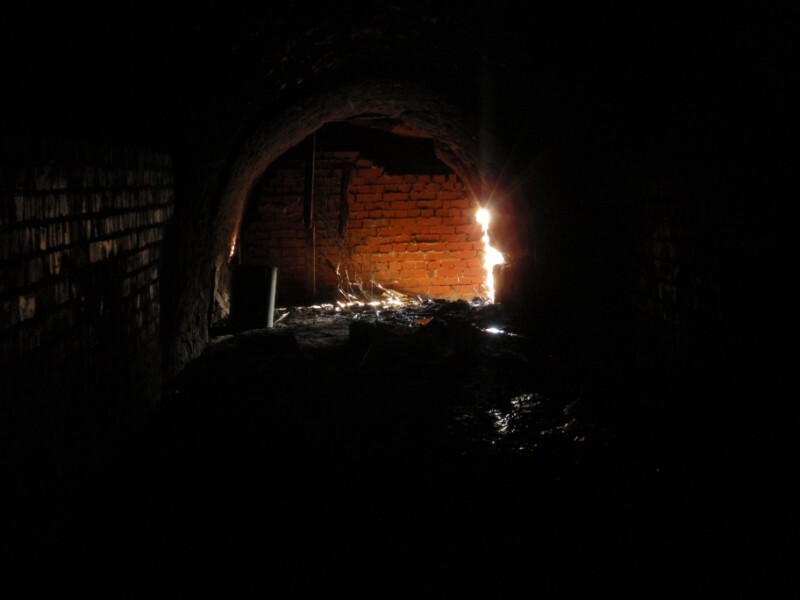 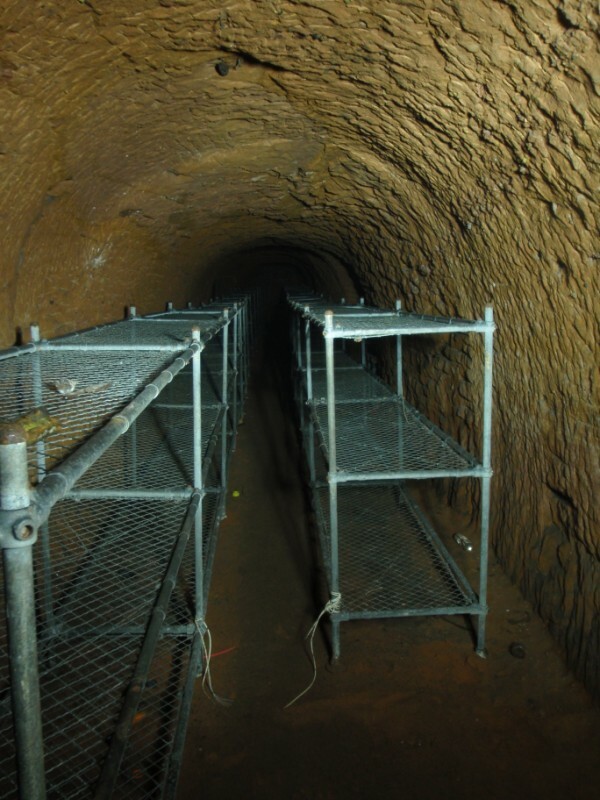 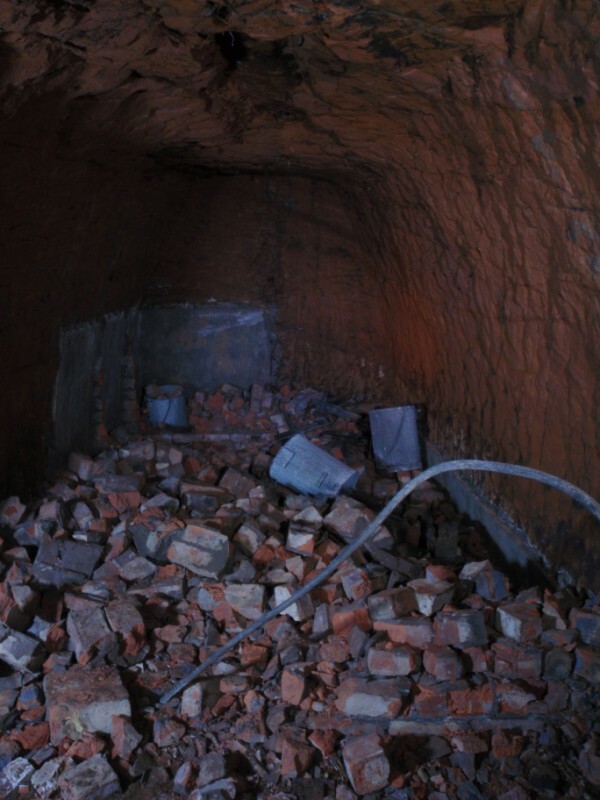 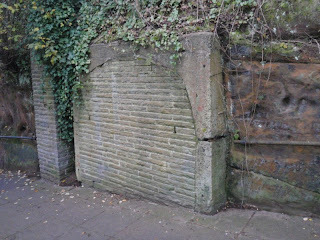 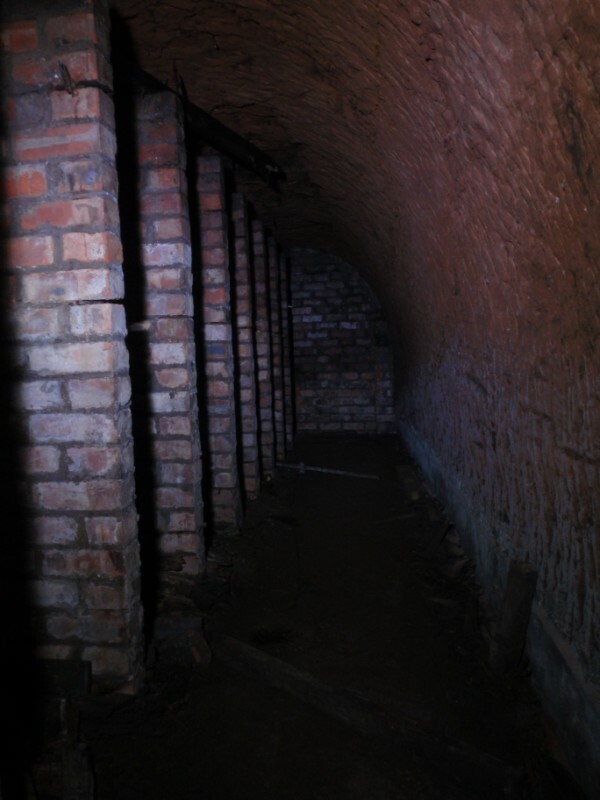 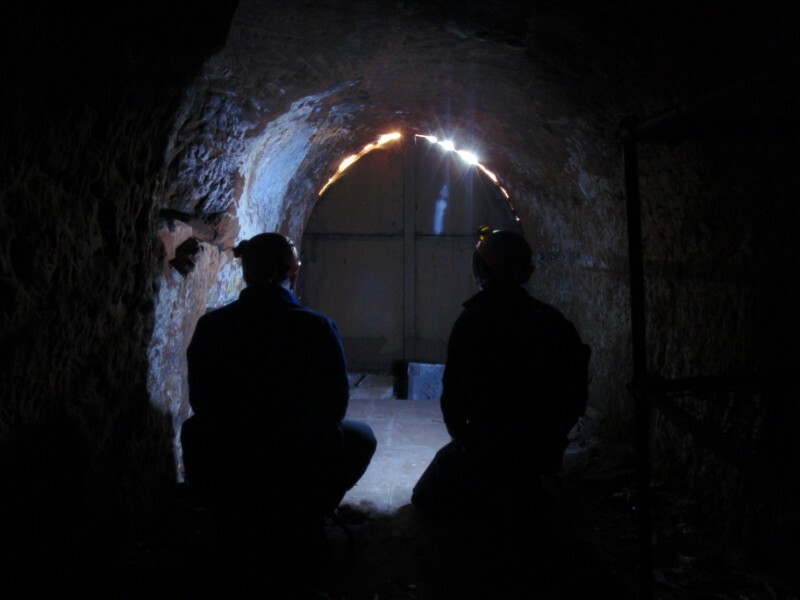 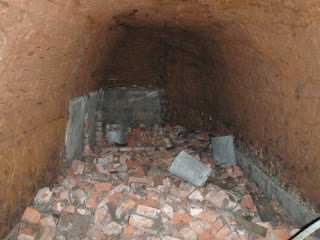 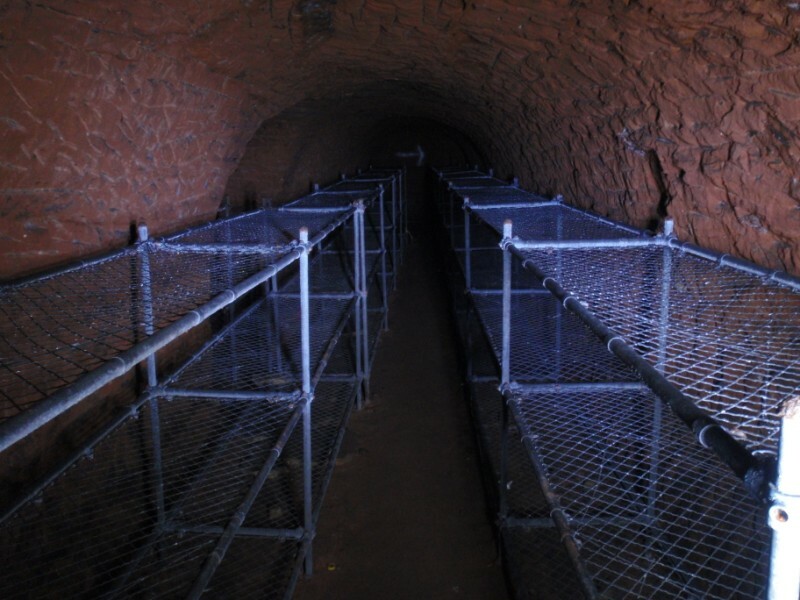 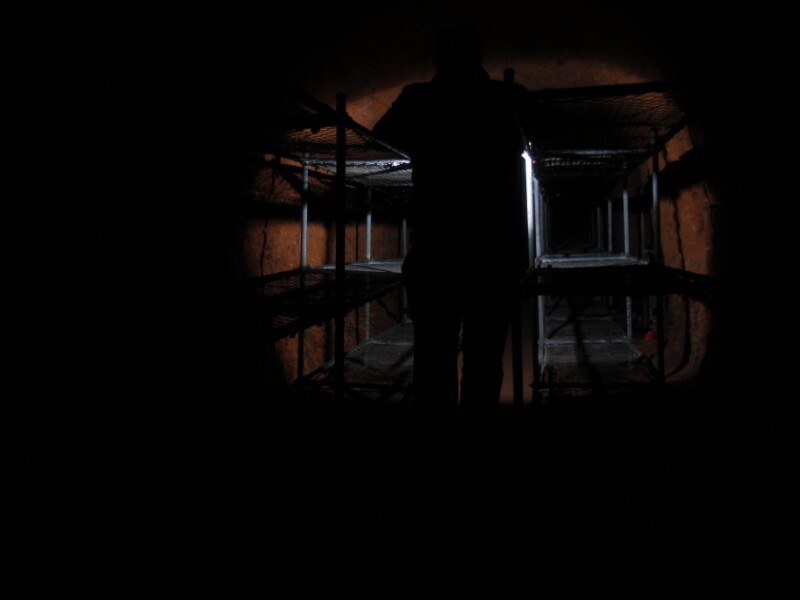 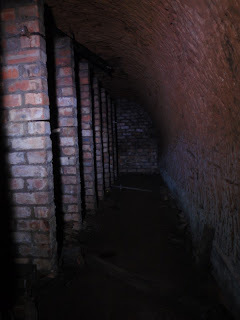 There are 3 Air Raid Shelters in Stockport, Chestergate, Brinksway and Dodge Hill. 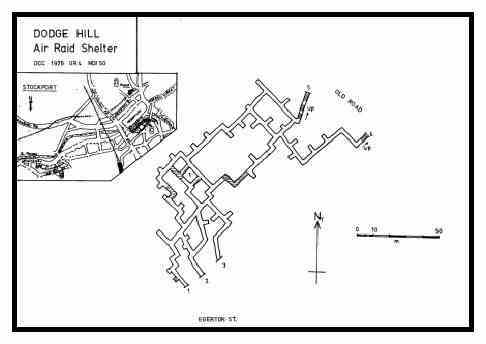 Dodge Hill was the smallest shelter which could accommodate 2000 People at anyone time it was built in the years of 1938/9 with the use of pneumatic drills as the red sand stone was very easy to work, there are pockets of clay within the shelter which is still soft, most of the shelter is dry and in very good condition. 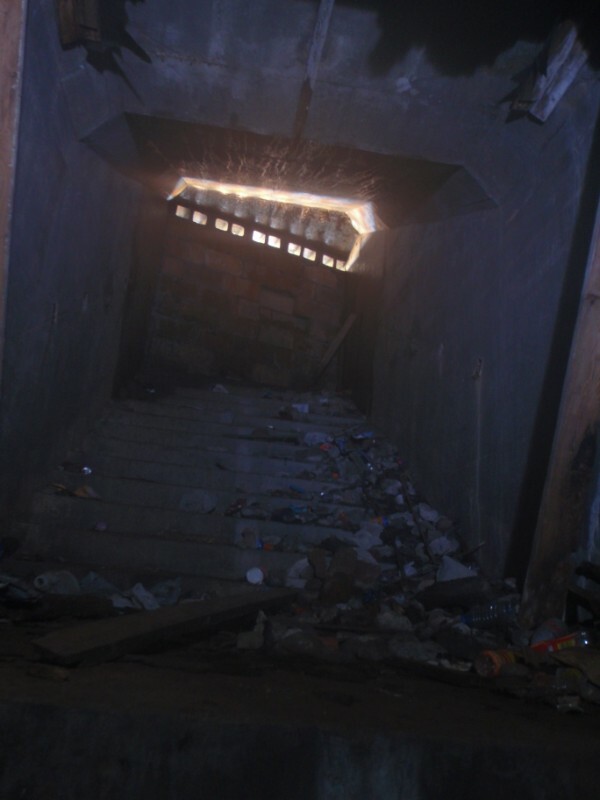 All the entrances are blocked apart from one small hole and once inside you find your self in a roomy passage, after a short while you come across a flight of stairs leading to the main entrance which is bricked up with air bricks above letting in a little day light. 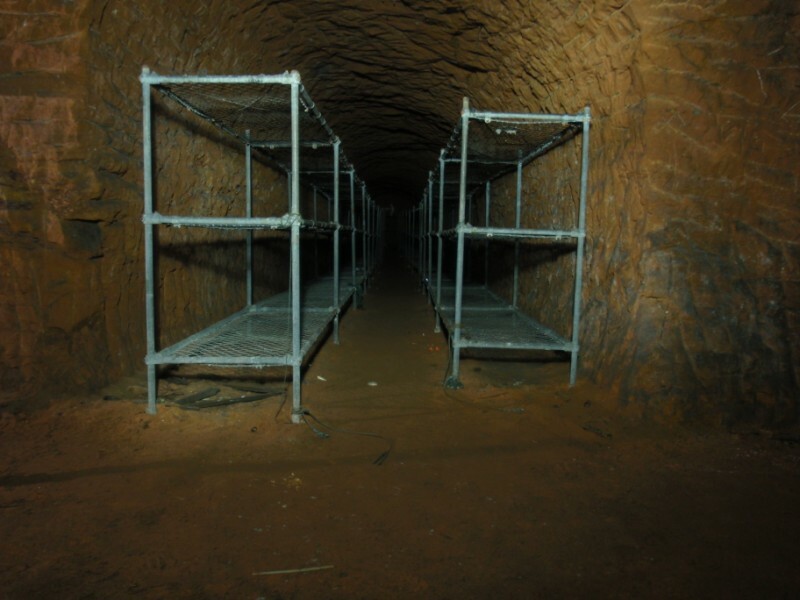 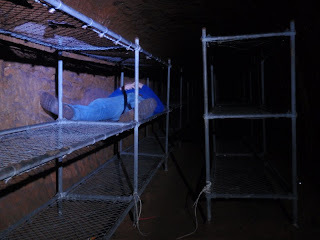 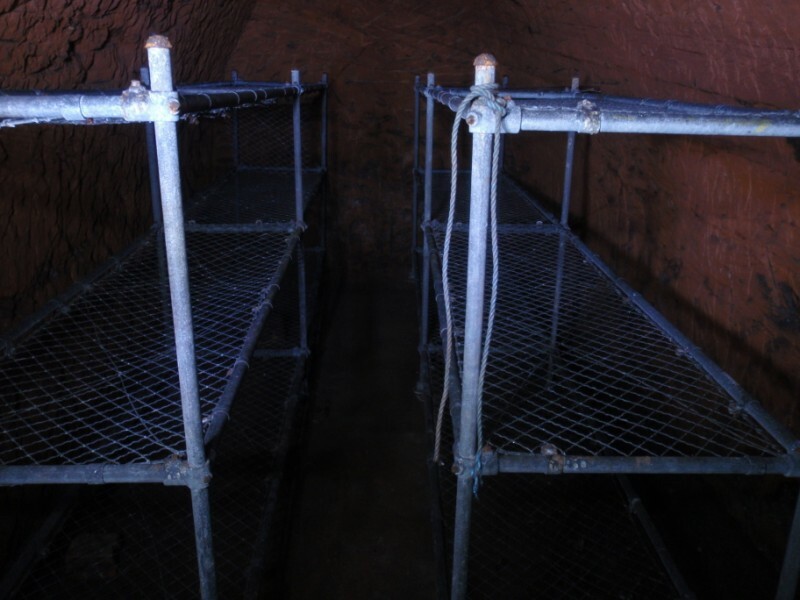 There are many passages full of original beds (triple bunk beds) and 2 main toilet areas, once there was a Warden's post a tool store and a first aid store in here too. Electricity was put in for lighting and wooden benches for seating, several cut out storage areas can still be seen in the walls by the beds. Some of the small side passages which house 12 beds have stone floors in place and some of the small passages have a few toilets in, all of the toilets I saw were chemical toilets although it is said that some were plumbed in. 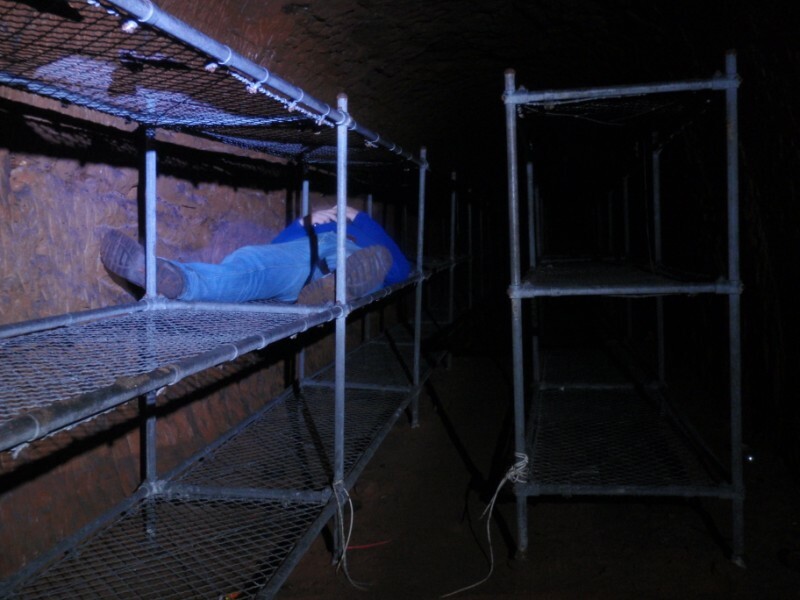 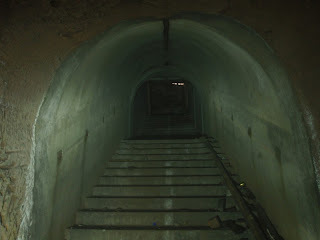 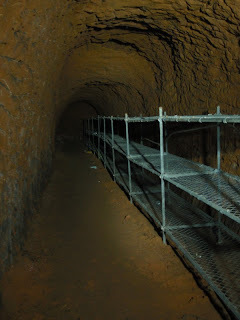 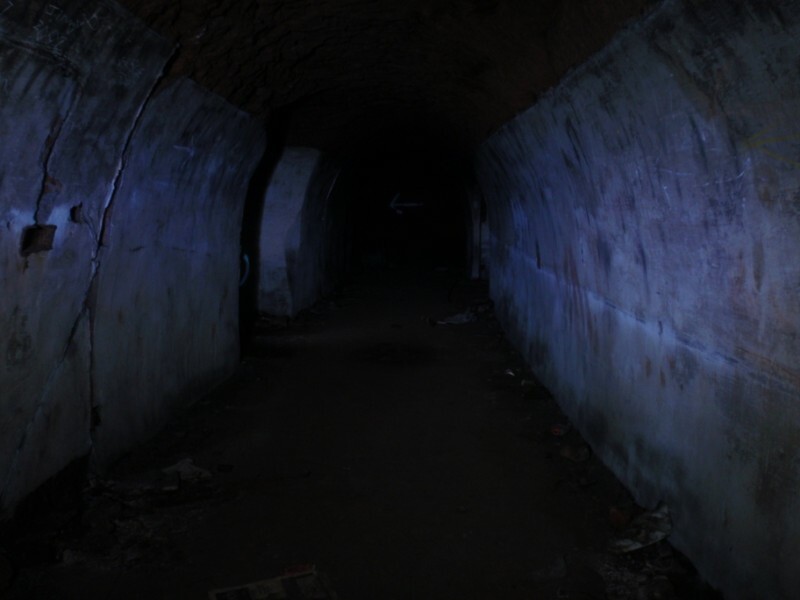 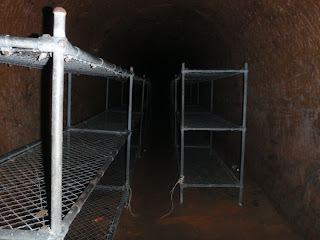 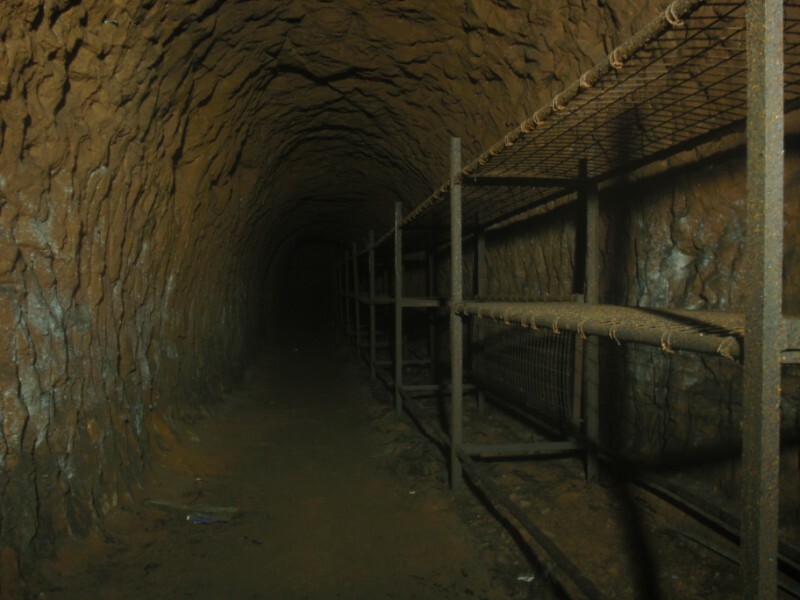 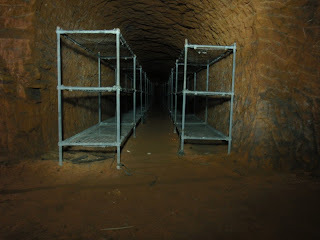 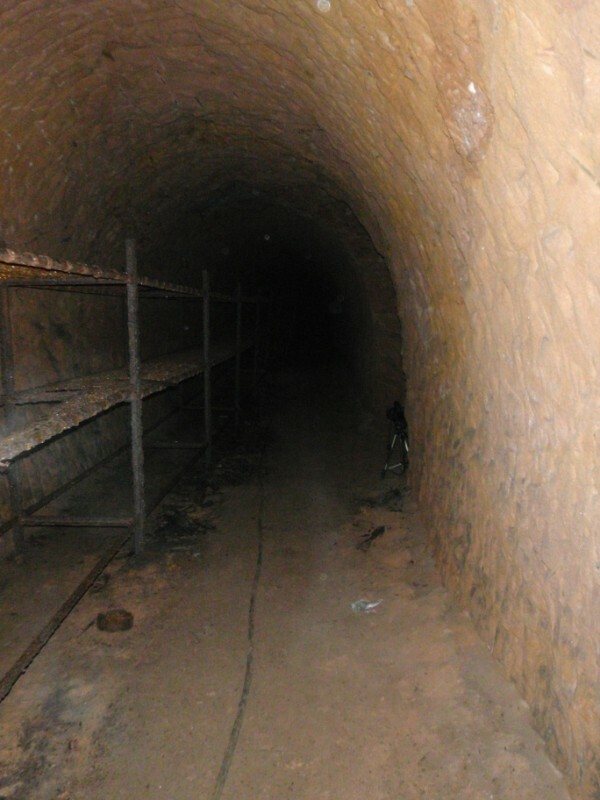 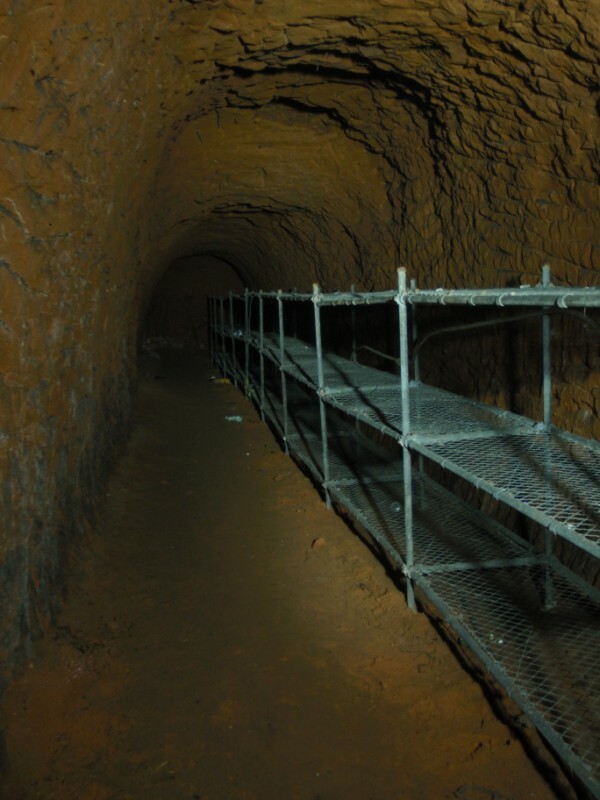 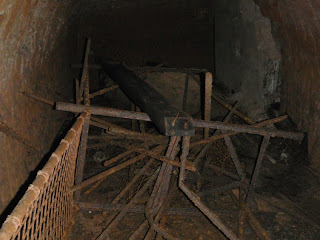 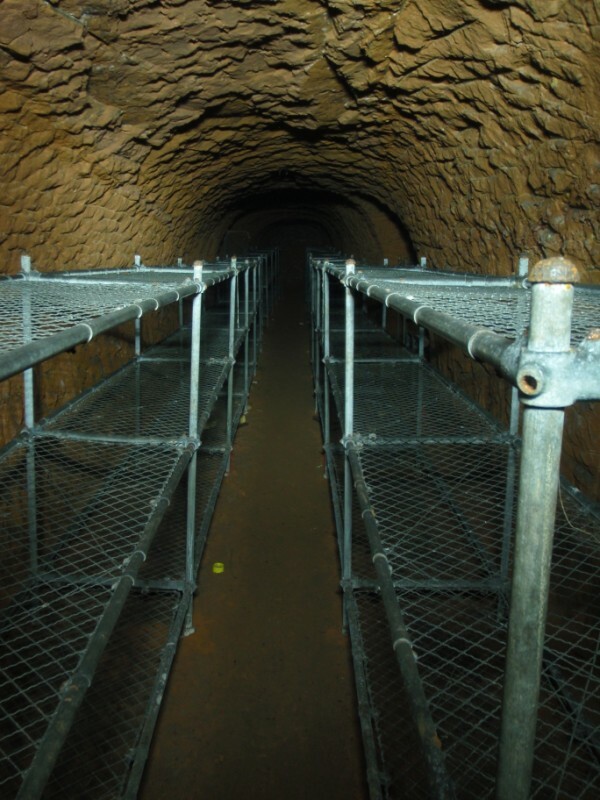 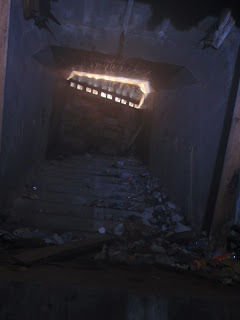 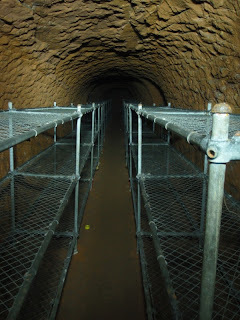 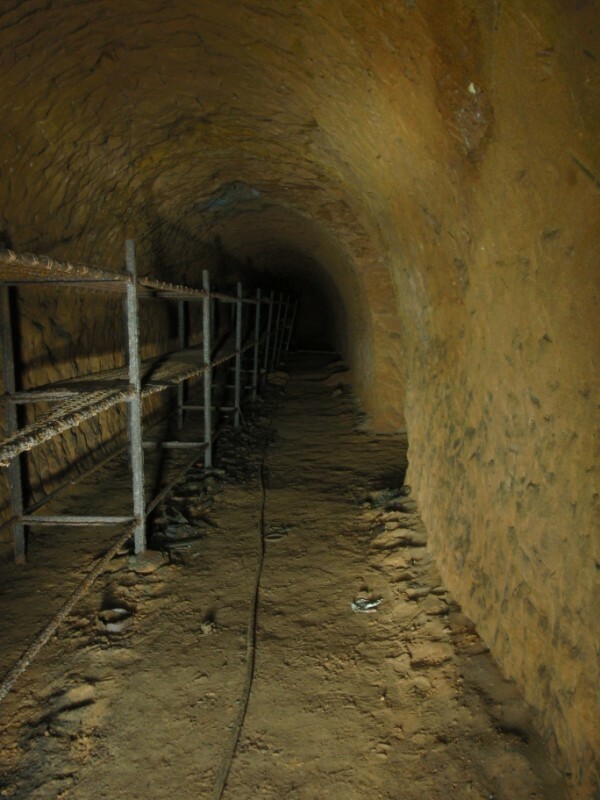 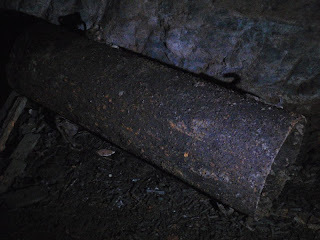 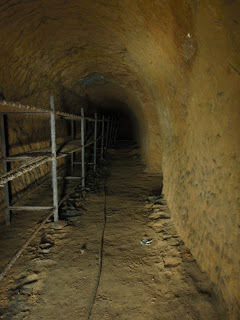 As the threat of bombing receded in 1943 the decision came that the tunnels were no longer needed to be opened every night and by the end of the war they were closed and blocked leaving them virtually intact to this date apart from kids getting in and up turning some of the beds and leaving rubbish inside the tunnels. 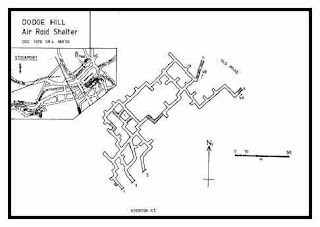 Layout of Dodge Hill Air Raid Shelter. 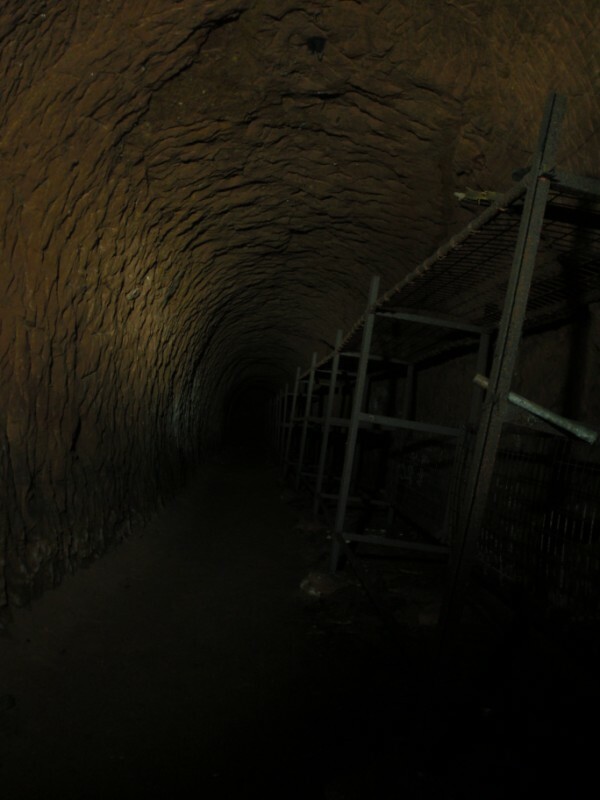 Looking up to the main entrance. 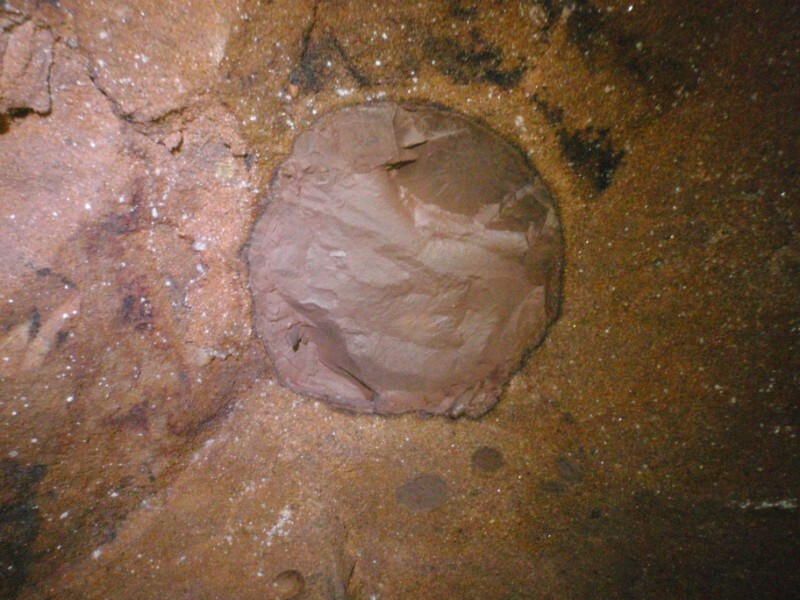 Soft clay in the roof..
One of the many small side passages. 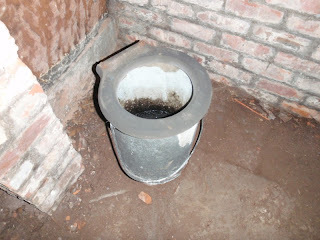 A bricked up wall area used for the toilets. Oh hold on .....nope !...it's me. 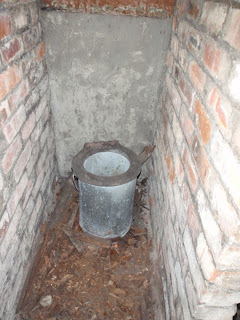 One of the toilet blocks.